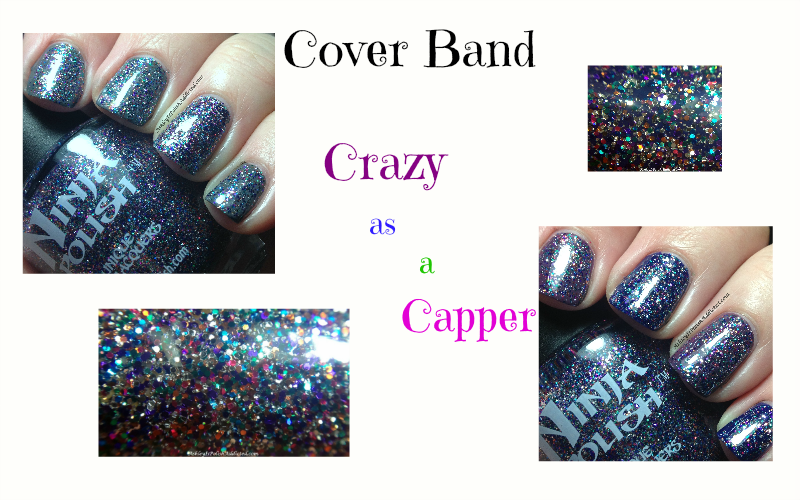 Crazy as a Capper is a tribute to OPI's Mad as a Hatter. I don't have Mad as a Hatter but from what I have seen of it, this one is very close! 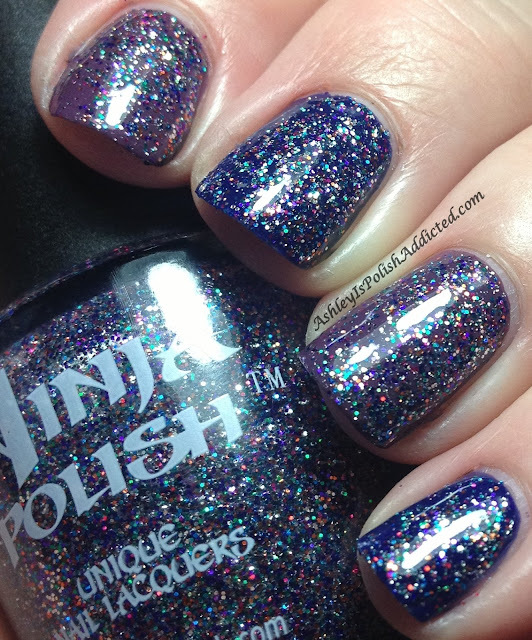 The OPI seems to have a tad more purple and pink while this one has more blue but, again, it is not supposed to be a dead on dupe, just similar. 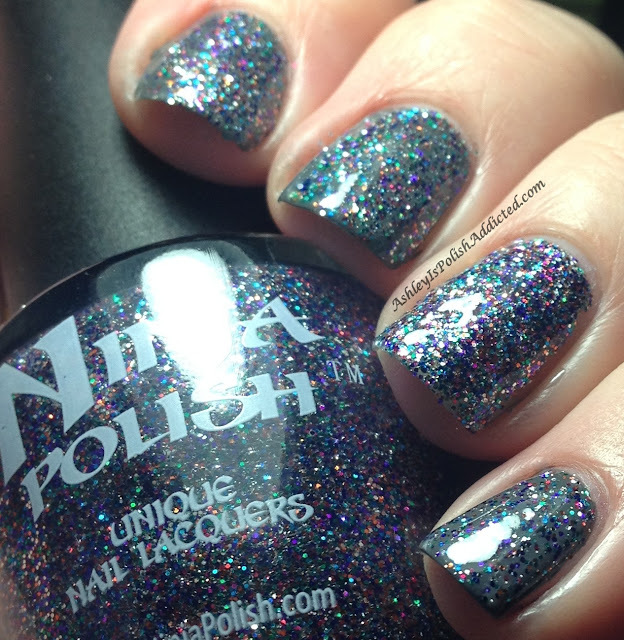 The formula on Crazy as a Capper is amazing - I had NO issues with application, the polish spread smoothly and easily and I did not have to do any dabbing. 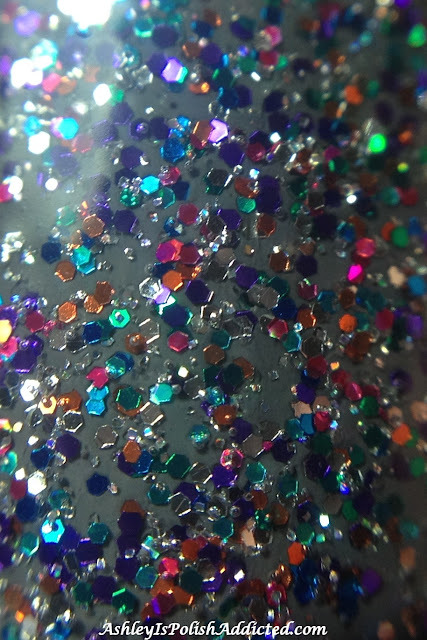 I have used this alone on an accent nail and layered it over several colors so you can see it a few different ways. 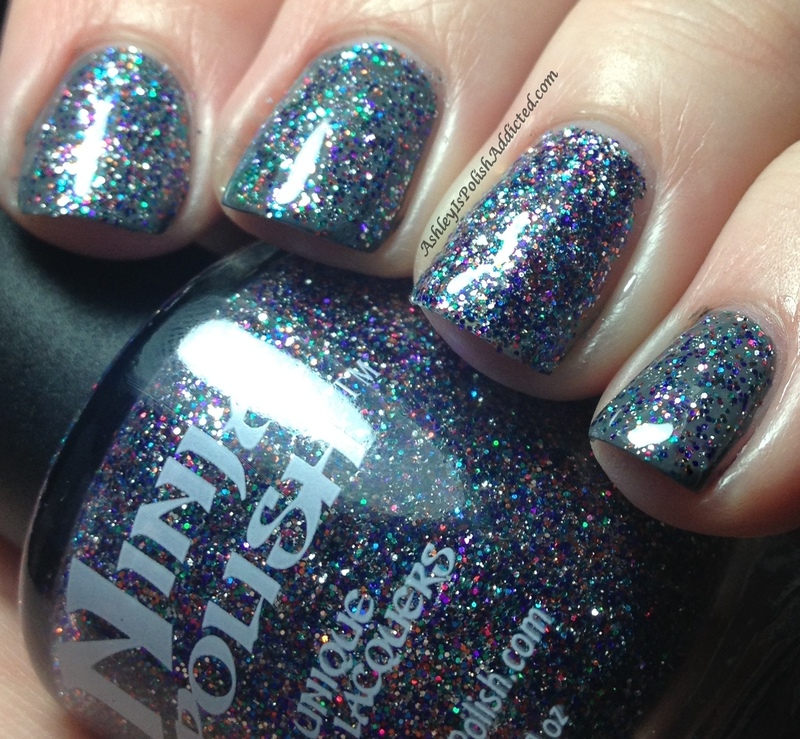 Also, I only needed one coat of Poshe for this to be completely smooth. So what do you think? 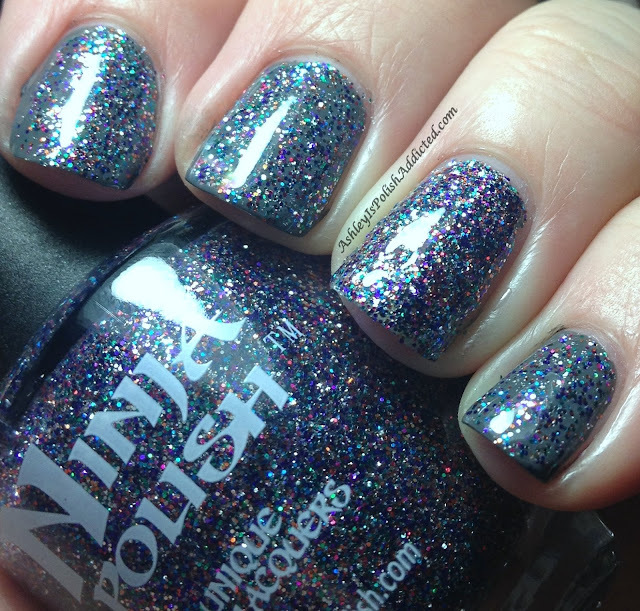 I love this one - and it is SO SPARKLY! 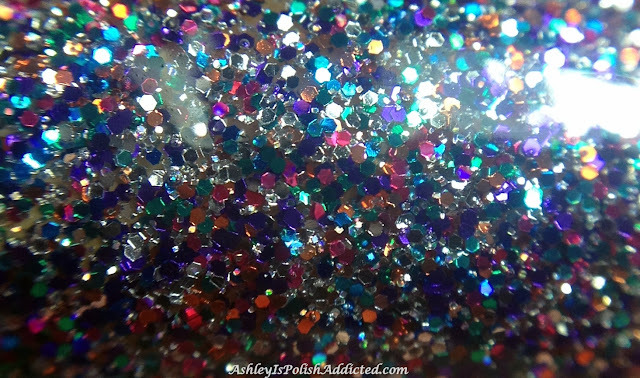 It's a must have for all glitter lovers! 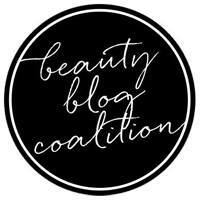 It will be an amazing pedi polish for spring and summer! 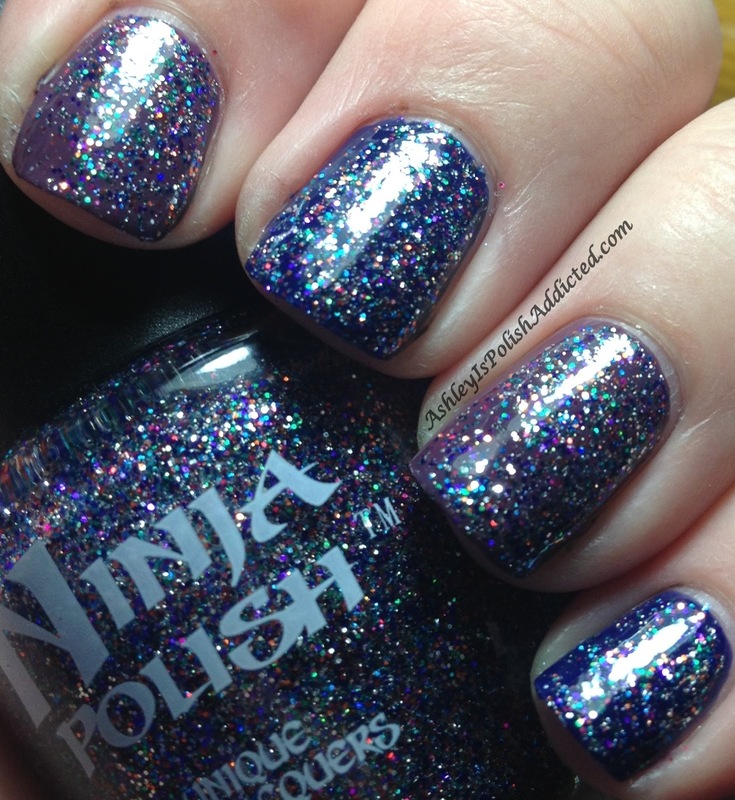 Cover Band polishes are sold exclusively through Ninja Polish. Currently the release date for these is still in the works so I'll just say COMING SOON. 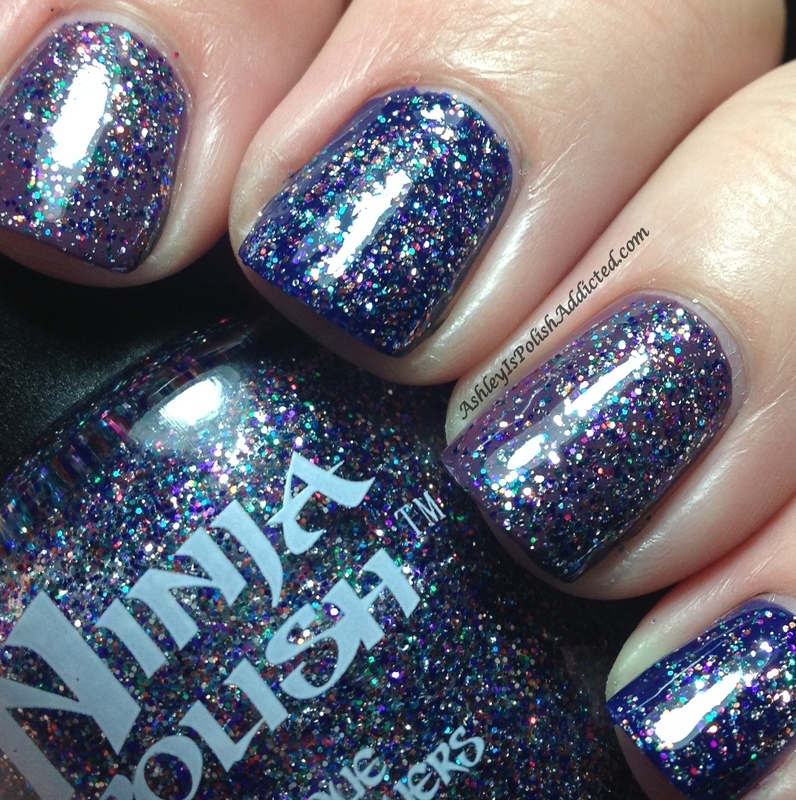 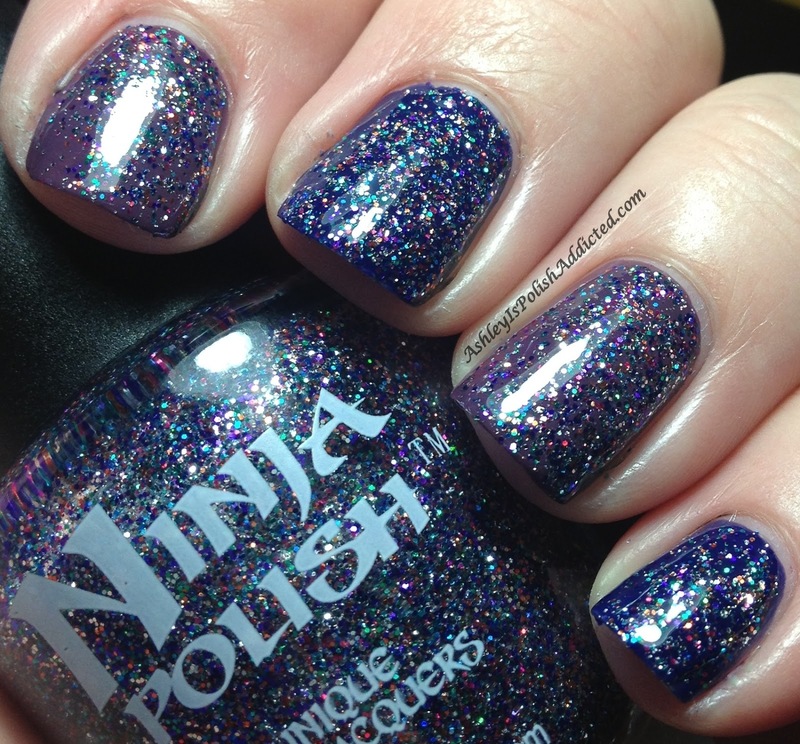 Make sure to like Ninja Polish on Facebook for updates, swatches and restock information. 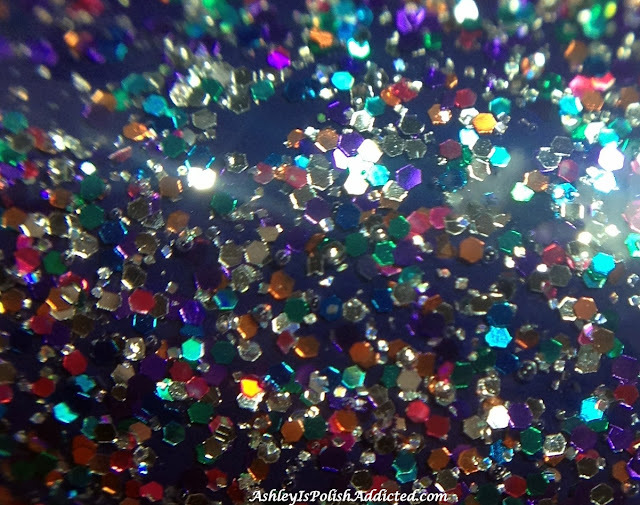 As I mentioned earlier, I also have one more new Cover Band creation to share with you soon so stay tuned over the next couple of days!